Are you a Churchill resident or group who would like to speak to us in person about a particular issue or concern that we might be able to help with? Come and meet us at our Councillors’ advice surgery. These are held on the second Thursday of every month, 7-8pm. No appointment is necessary – simply come along. 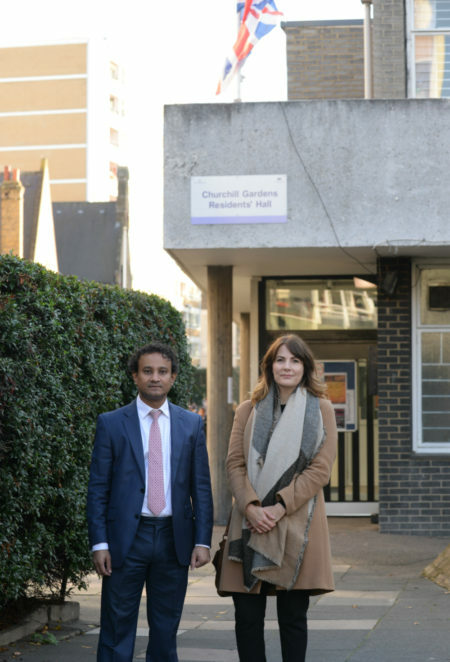 Our surgery location alternates monthly between Churchill Gardens Residents Hall, Churchill Gardens Estate SW1V 3AL and St Barnabas Church Hall, entrance on Ranelagh Grove, SW1W 8PF . If you need advice or help about benefits; debt and money; housing and homelessness; health and community care; employment; immigration and nationality; consumer rights; carers’ support or crime and noise problems – please come along to the new weekly Advice Shop service in Churchill Ward. Run by Citizens Advice Westminster, it takes place every Thursday 10am-12.30pm at Churchill Gardens Residents Hall, Churchill Gardens Estate, SW1V 3AL. There is no need to make an appointment. Find out more about Advice Shop here. Another centre for drop-in advice is the Pimlico Hub, every Monday from 9.30am to 12.30pm at St Gabriel’s Hall, Glasgow Terrace, Churchill Gardens Estate, SW1V 3AL. Run by the Cardinal Hume Centre, come along to the Hub if you need help or advice on employment and family services, housing, welfare rights advice and food bank provision. Churchill Ward Labour Councillors send out regular seasonal ‘Action Report’ email newsletters, with details of our latest news and updates for residents. If you would like to be added to our emailing list, please fill out the form below or just drop us a line at info@churchilllabour.co.uk.